The next time you’re at MOCA Grand Avenue (before July 4), grab a beanbag chair and check out Patrick Staff‘s new 17-minute video piece WEED KILLER (2017), curated by Lanka Tattersall. “The intersection of gender, illness, and contamination is the focal point of the video installation, [which] was inspired by artist-writer Catherine Lord’s memoir The Summer of Her Baldness (2004)—a moving and often irreverent account of the author’s experience of cancer. At the heart of Staff’s work is a monologue, adapted from Lord’s book, which reflects upon the chemically induced devastation of chemotherapy. This text is enacted with unrelenting intensity by actress Debra Soshoux, who recites Lord’s description of taking chemotherapy drugs as akin to ‘mainlining weed killer’….Throughout WEED KILLER, Staff intertwines notions of affliction and contamination with the demand for survival on one’s own terms. “The monologue is intercut with comparatively otherworldly sequences. 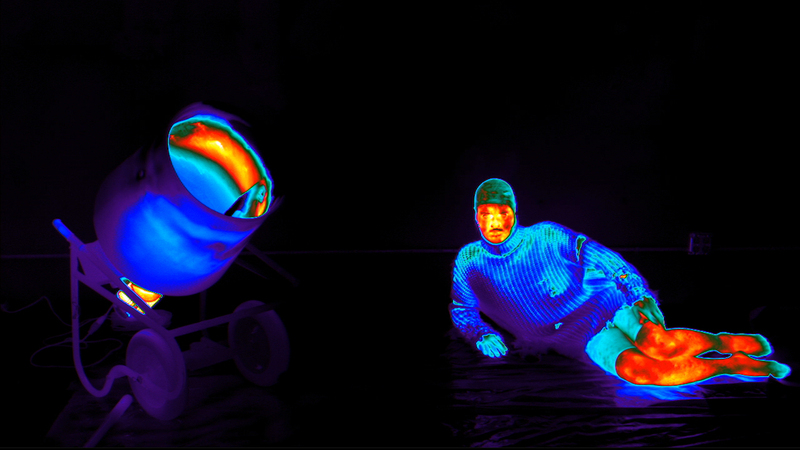 These include choreographic gestures shot with high-definition thermal imagery and performed primarily by Staff. 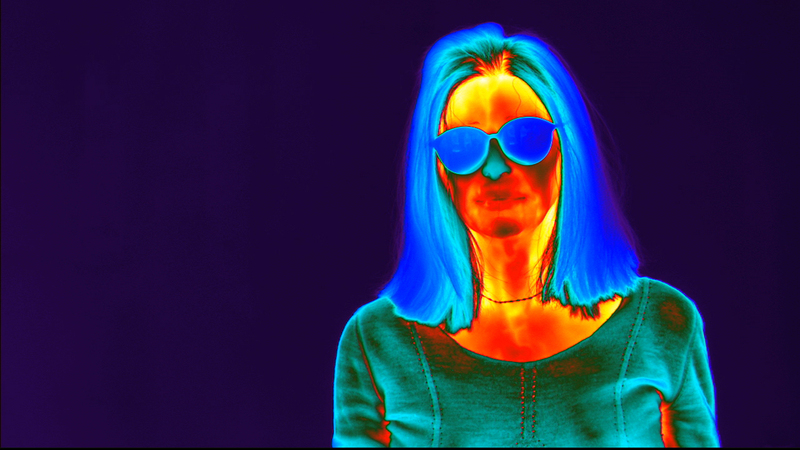 The thermal scenes draw attention to the ways in which our ostensibly uniform bodies are actually composed of varying zones of heat and coolness, suggesting a visual analog for the complexity of identity. PATRICK STAFF—WEED KILLER, through July 3. *The song was adapted by Staff from versions of the song “To Be in Love” (1999) by Masters at Work, featuring India. Patrick Staff, Weed Killer, 2017, video still, courtesy of the artist. Image credit: MOCA. 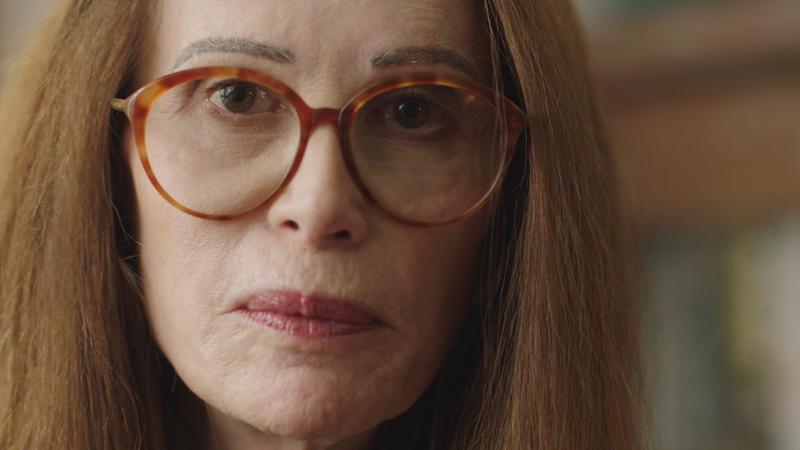 Debra Soshoux in Patrick Staff‘s, Weed Killer, 2017, video stills, courtesy of the artist. Image credit: MOCA. Jamie Crewe in Weed Killer, 2017, video stills, courtesy of the artist. Image credit: MOCA. Patrick Staff, Weed Killer, 2017, video stills, courtesy of the artist. Image credit: MOCA. 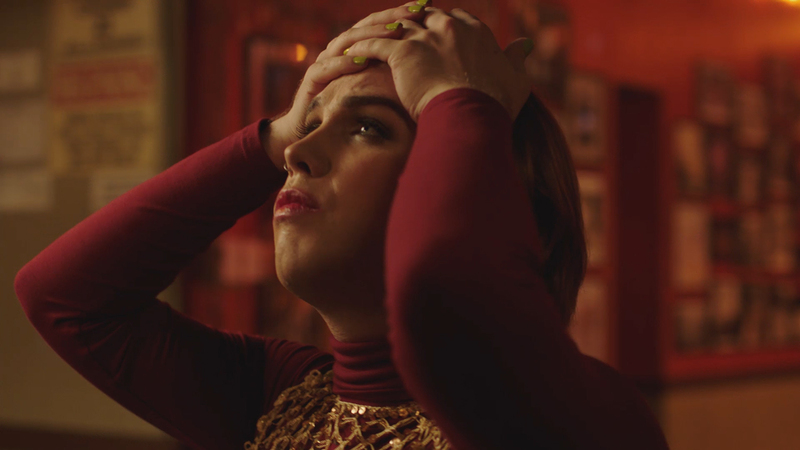 This entry was posted in ART, MUSIC, PERFORMANCE, VIDEO and tagged Catherine Lord, Debra Soshoux, Jamie Crewe, Lanka Tattersall, MOCA Grand Avenue, Patrick Staff, The Summer of Her Baldness (Lord), Weed Killer (Staff) on May 16th, 2017 by Barlo Perry.